If you’re busy planning for your wedding, you may want to pause and read about some of the top regrets cited by others who have already tied the knot. 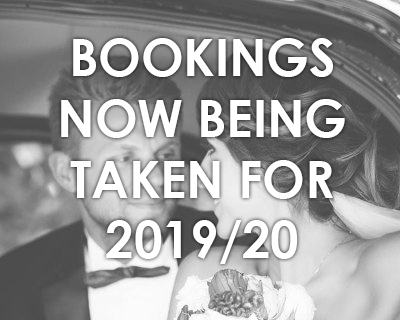 Hopefully you’ll be able to avoid the same mistakes and enjoy every part of your day, from the ceremony and ride in beautiful wedding cars in Hale, to the reception and speeches. Many of the comments centred around letting their mothers get too involved with the organisation of the big day, to the point that brides and grooms alike didn’t have the celebration they’d wanted. One user said that her and her husband “hated” their wedding day, because of her mother. “She took over and did everything and then acted like she was doing us a wonderful favour,” the anonymous poster stated. Others claimed that their mums had suggested the wedding day was about celebrating them, as well as the happy couple. But it wasn’t only involving mothers that people regretted about their big days. One person revealed that they wished they’d invited fewer guests and instead had spent extra money having “one hell of a high end party”. Another person recommended that couples don’t worry about the small details and just enjoy their day. “Nobody cares what colour the napkins are. It was my wedding and I don’t remember what colour they were,” they wrote. That advice may be worth remembering if you’re hoping to have a wedding on a budget. Other tips to reduce the cost include not hiring a wedding planner and getting friends and family to help you make decorations and wedding favours.